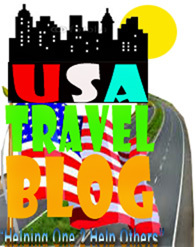 Spring is here and vacation planning is the norm in most every middle class homes in America. Over the past few years the economy has made vacations out-of-reach for most working-class families; the trip to visit Grandma in the Alps is no longer financially-possible. Fact is, many cannot even schedule a vacation time, and are working during their vacations; opting to take the cash and continue working. 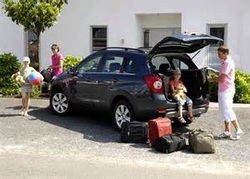 ENTER THE FAMILY STATION WAGON..
Hotel parking lots are hosting more family personal automobiles than the car rental agencies. And even though people are indeed renting and leasing more vehicles than ever before, personally-owned vehicles are seen more frequently on the highways, largely because leased vehicles have mileage restrictions. On the upside with rental cars; they have unlimited mileage, allowing them to be driven on longer vacation journeys. Still, the family-owned vehicles are the best choices: they cost less to use than a rental (the average car payment is about $300 a month while a rental for a week could cost as much as $500 to $800, depending on the size and annimenites of the vehicle. Another important fact why automobiles are spending more time on the roads, especially during vacation periods is that they are more mechanically-dependable, get better gas mileage and are much more comfortable than our parents' clunkers. It is not unusual to have a family car , SUV, van, etc., comes equipped with air conditioner, a high-end stereo system with CD, DVD, AM/Fm and Satellite radio, a television, DVD player, a GPS and a phone. Now, with all those sophisticated gizmos, why not spend more time basking in their comfort? Husband & Wife team. Published authors.